Should “Hon” be Trademarked, Hon? Fuggedaboddit! When you order from any self-respecting greasy spoon in Baltimore, you can expect the server (if she’s female) to call you “hon” (as in “You wan’ the crab’ melt, hon?”). It’s a word as essential to Baltimore as the Os, the Ravens or Fort McHenry. 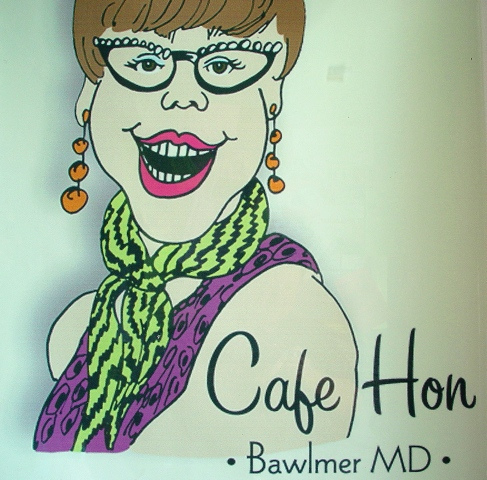 So when the owner of Café Hon, a popular neighborhood eatery that riffs on all things low-culture Baltimore (that’s pronounced “Bawlmer,” hon) decided to trademark the word “hon,” protest from proud Baltimoreans was inevitable (organized through a Facebook site called “Boycott Café Hon,” of course). The question is: who’s right? Café Hon has created a nice business marketing Bawlmer chic, part of which is represented by the word “hon.” As a brand guy, I respect their right to protect the essential pieces of their brand identity. But honestly, should a New Yorker be allowed to trademark “fuggedaboddit?” The answer, of course: fuggedaboddit! Words in common usage shouldn’t be owned by individuals, any more than the sidewalks should be. Having been through trademark hassles, myself, I know how tough it is to trademark a name that rests on a common word. Maybe the USPTO just fell asleep on this one and didn’t realize EVERYONE in Bawlmer uses the word “hon” at some time. It’s only a 40 minute drive from DC. Maybe they should head up there and see for themselves. Even if they don’t, it’s a mistake for the folks at Café Hon to assume they’ve done their brand a favor by locking up the word in a trademark. I like to say “Brands are owned by companies, but belong to customers.” In other words, if trademarking “hon” actually devalues the word — because the act of trademarking pisses off the very customers they’re trying to please — it’s a mistake. Whaddaya you think, hon?